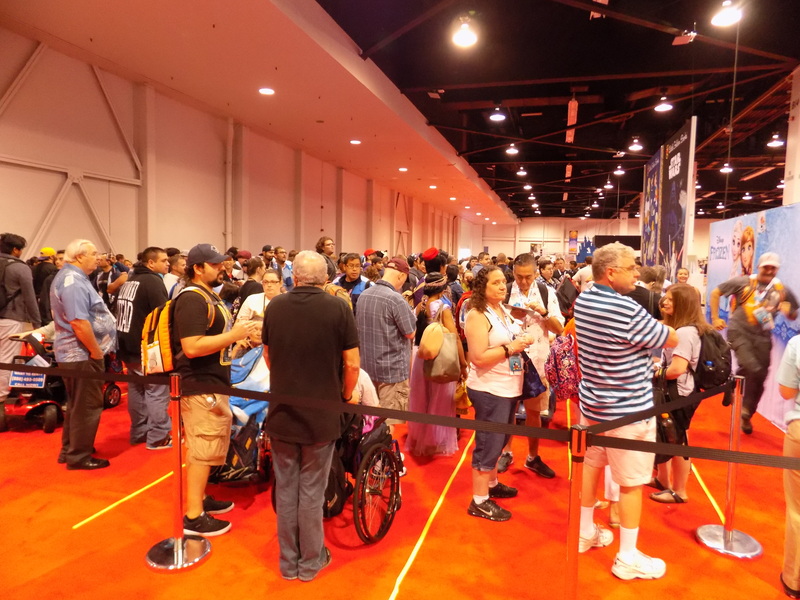 Is this your first time to D23 Expo? If so, prepare to be overwhelmed! Just know going in you can’t do it all. It doesn’t matter if you’re a Sorcerer’s Package guest or not. You literally can’t do it all. This is the first year I’ve had the chance to be a Sorcerer and I already received an email from Disney that I’ll need to pick and choose what I want to see. Panels or Pavilions? Since you know you can’t do it all, you have to choose, and really it all comes down to one choice – stuff or shows. Panels or pavilions. And there are no right answers. My buddy John always picks the shows. I always pick the stuff. To me, I’ll hear the information from him right after the panel is over, but if I miss out on getting those limited edition pins I was looking forward to, they are just gone. On the other hand, he and his son enjoy the show so much they make it a point to go together every Expo. It’s not just the reveals, it’s also the special guest appearances, the spontaneous performances, and the surprises that Disney magic brings forth. People walk out simply floored. They even forget they willingly let a complete stranger watch their cell phone. If you go for the stuff, you MIGHT get something incredible, but you’ll miss quite a few panels getting it. Waiting in line, grabbing your stuff, then waiting in line again to pay for it. It’s a lot of waiting. Which leads me to my next tip. Bring a friend. Or make one in line. Having a wingman at D23 Expo is a definite plus. Someone to hold your place while you go to the restroom or grab a bite to eat. 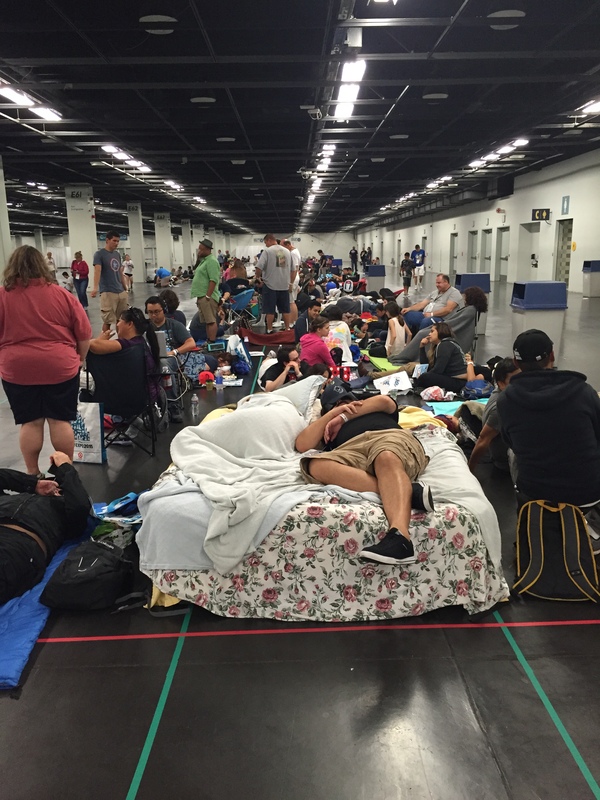 Someone to switch off in line with so you can grab a couple of hours of sleep in your room instead of the convention floor. Someone who can hold your place in line while you shop and vice versa. While you certainly should go whether or not you have a friend with you, it makes it much easier to tag team the Expo together. Bring a bed (or a chair). Sounds weird, but people did it. Line up begins at 10pm the night before and a large amount of people get there even before 10 (even though technically you’re not supposed to). That happens each day, but the first day is the worst because you’ve got people trying to get on the Show Floor for shopping AND for the panels. Usually there is a lull in people lining up from about midnight to 6am, and then they start coming in a steady stream. By 10am when the festivities begin the line is super long. If you do bring a bed (or a folding chair which is what I did), you’ll have to put it away well before you either go into the Expo so you’ll need someone to save your place. But it’s worth it. Pick one thing a day. Even if you pick panels over pavilions or stuff over shows, that doesn’t mean you’ll get everything you want. Pick one thing a day you absolutely must have or see or do. One souvenir you want to buy, one panel you want to see, one autograph you want to get and focus on that. When you know what that one thing is, be there even earlier than you think you need to be (and that depends on how rare the item is or how many people want to go to your panel). Seriously, people will be there waiting. It means giving up other things, but that’s just part of doing that ONE thing. Tip: Disney Store gets the busiest. If the one thing you want is there, you need to be in line extra early. People reported waiting 3-4 HOURS just to get in. Of course by then all the limited edition items were gone. So gambling on the Disney Store is a risk but a great one if it pays off. Next busiest is Mickey’s of Glendale, the Imagineering store. They have in the past released different items on different days, but not like the Disney Store that releases these ultra popular pieces with low production numbers. Least busy is the Dream Store. Especially on days 2 and 3. No new stuff is being released. If you just want souvenir items that aren’t limited, Dream Store should be last on your list. If your ONE thing is at the Disney Store, go to Disney Store and risk missing out on Dream Store stuff. Your Disney Store stuff DEFINITELY will be gone, but you have a chance at Dream Store. Hopefully, this post will help you with the decisions you have to make to have the best experience possible. If you have any questions, just comment here or email me! Hope to see you there!! !